Howard Glenn Yeomen, age 68, passed away in Westminster, Colorado on January 17, 2019. Howard had battled pancreatic cancer since being diagnosed in May, 2016. He died at home with his family at his side. He was born December 7, 1950 in Harvey, Illinois, the son of Charles and Grayce Siegman Yeoman. He was named after his Uncle Howard who was killed in WW2. Howard is survived by his wife, Holly Lynn Pederson and their son, Zachary Pederson Yeoman. He is also survived by his mother-in-law, Marlys Pederson, of Iowa and his brothers and sisters; Diane Podgorny (Jim), Alabama, Arlene Garney, Illinois, Janet Johnson (Alan), Alabama, Ranae Willer, Colorado, Gary Pederson (Lisa), Iowa, and Shelly Hunter (Bill), Colorado, and many well-loved nieces and nephews. Howard was such a good man, I was so fortunate to have him as my husband for 30 years, and a friend for more. Reflecting back, it is hard to pull it together into a short writing. Howard loved Zach and I very much and was always so proud of us and our family. We had a good life and enjoyed so many comforts. Howard was a caring husband and went out of his way to assure I was happy even if it was something he did not want to do. He was always by my side and my caregiver. He was an incredible father to Zach showing patience, love, guidance and presence in his life as a parent leader. He was at countless sport events, went on many Boy Scout outings and guided Zach in becoming an Eagle Scout. He was always available to him. He was so proud when Zach achieved his CPA within a year of college graduation. Zach is a successful, caring and kind adult today thanks to Howard. Howard loved his extended family and was always available. He lost his mother early in 1983 and his Dad in 1998. Holly’s mother, Marlys has been his parent-in-law and was at his side for the last two months assuring he was not alone and always cared for as she had done for the last 30 years as well. Zachary dedicated a book to his father and in it wrote the following. As a member of society, Howard took pride in his honesty, work ethic, knowledge and skills, his commitment to services and helping others, taking time for fact finding and doing the right thing. It was evident in the little things like shoveling the elderly neighbors drive to the big service projects—traveling to Nicaragua twice with Rotary International to support clean water for rural areas, Mississippi for Habitat and local projects, and being a CASA advocate for young at risk children needing a strong adult figure for support and safety. Howard was a member of Westminster Rotary since 2002 and was proud of how much Rotary served the community. He was president 2015 and 2016. He enjoyed the relationships he had with other members. From 1993 to 2015, he was the Executive Director for Senior Hub, Inc, a non-profit providing senior services to at risk seniors. Howard had a significant impact at Senior Hub during his tenure, growing the programs and organization sustainability. As one of the board members wrote in a note to Howard, “Thank you for making Senior Hub something we could be proud of! 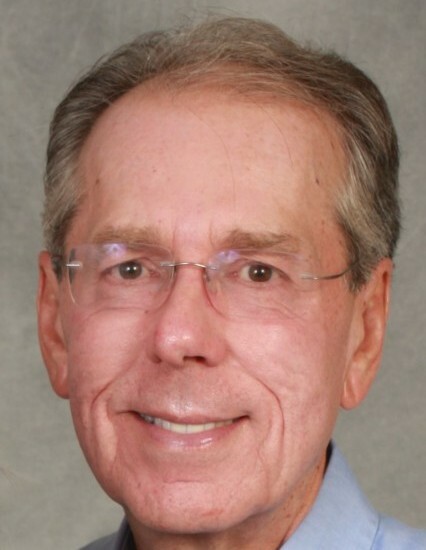 Thank you for your heart, love for seniors, caring, hard work, strong leadership, knowledge to create a strong financial program, and for making a difference.” Prior to that he was the Marketing Director at both North Colorado Medical Center and Northern Michigan University. It was at North Colorado Medical Center where Howard and I met. While at Northern Michigan he received his Master’s in Public Administration. This was one of his proudest accomplishments. Howard was an avid reader, loved to travel, go to the mountains, hike, downhill ski, watch professional football, create a beautiful garden landscape, and do small woodworking projects. The Yeoman-Pederson family did not need a handyman as Howard did it all. If he did not know, he would research, figure it out and do it. Only thing he hated to work on was the sprinkler system. Holly and Howard (and Zach until he grew up!) have had many travel adventures and seen so much of the world. They did not complete everything on the “dreams of places to go” list, but were grateful to have seen many, many places. The last big trip was to Egypt, Jordan and Israel in May. We walked where Jesus walked and were baptized in the Jordan River. Howard is now traveling with Jesus. He was so loved and cared for . He will be missed.